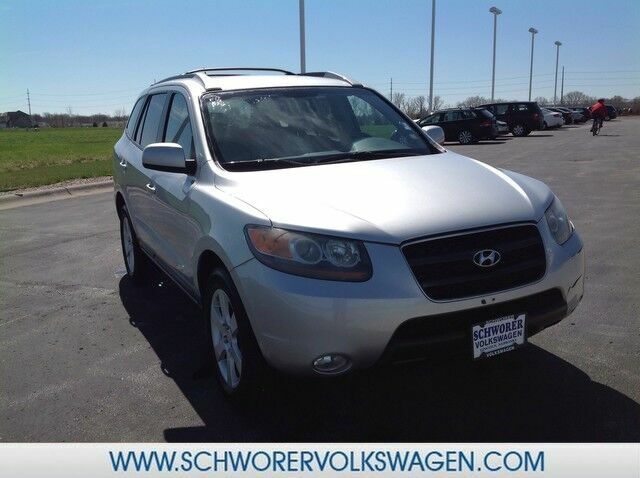 This 2007 Hyundai Santa Fe Limited is proudly offered by Schworer Volkswagen Want more room? Want more style? This Hyundai Santa Fe is the vehicle for you. One of the best things about this Hyundai Santa Fe is that it has low, low mileage. It's ready for you to truly break it in. The 2007 Hyundai Santa Fe compares very favorably against the Honda CR-V and Toyota Highlander, offering a choice of V6 engines at a price point where the Japanese competition only offer four-cylinder motors. There is plenty of safety equipment, the driving dynamics are first rate, and the interior is both nicely finished and quiet. If the pricing isn't enough to intrigue you, the warranty might just do the trick.